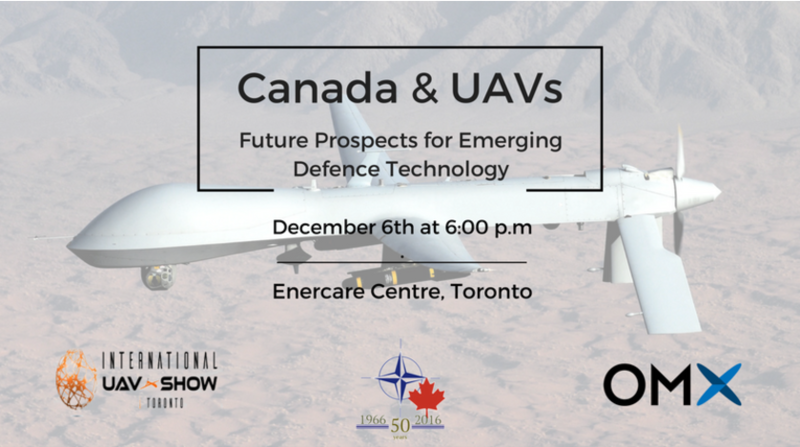 This panel discussion will inform participants on the use of Unmanned Aerial Vehicles (UAVs) for military purposes, with a special focus on the Canadian Government’s recent procurement of five RQ-21A “Blackjack” unmanned aerial systems. Panel speakers will include guests from academia, Boeing, and the Defence Research and Development sector. The panel will focus on an overview of how UAVs are being incorporated into Canadian defence initiatives, what the new procurement of UAVs will mean for information-gathering, intelligence and surveillance, and perhaps expose some of the ethical considerations and possible concerns that accompany autonomous systems. Join us for a well-rounded discussion between participants from diverse sectors who have a vested interest in this issue. As International UAV Show Registrants receive a discounted ticket price of $75.00.